Glamorizing any casual outfits is something our Pop-Star are at best, Kid-Cudi definitely spares the time to boost his already-enough elegant and jazzy personality to next level, He appeared as multi-spectral pop-star by professing the fact that he is not only good at composing super hit music but also keeps a designers flair beside his singing skills. When he handed the coolest leather jacket to Conan O’Brien on his late night talk-show which he accepted and draped immediately after receiving to gratify such a magnanimous surprise by Kid Cudi and that become the moment of inspiration for all partygoers out there who never miss a chance to add a luxury to their regular ensembles. This Kid Cudi jacket is a perfect example of jazziness and pop style with a perfect color combination of red with black and it comes up as the utmost party outfits, we have seen people started flashing their party pictures wearing this beautiful design leather jackets, it was a kind of flood of similar style everywhere online. Soon after it became a quick demand for people who like to be on trend and love their celebrity attire to stand unique among their colleagues. This jacket has got different names afterward, some called it Conan O’Brien jacket, some refer it as Kid Cudi jacket while it is popularly known as Kid Cudi Surface to Air jacket as it was a collaboration of Kid Cudi with design studios surface to Air, though Kid Cudi gave it a personal touch by designing it personally as this jacket has all perfect style like a crazy Pop-Star. This jacket is perfect for casual and semi-casual social gatherings, having slim fit-to-body cut makes it just like a body shaper. This Rockstar style is invincible to be beaten up by any other celebrity jacket you may find. It isn’t like glittery rock-star costumes that feel a bit awkward in some social meet-up only if you don’t want to alienate yourself unless it is a costume party, other times you have very limited editions of dresses to pick for your day-to-day hang-ups where you cannot try experimenting with colors and flattery designs. Thereby, Kid Cudi Surface to Air jacket has all the functional ingredients to decorate your regular ensemble gracefully with its red shoulders patches apparently widen-up your upper part of the body whilst the lower fit form a perfect shape to your overalls silhouette much gracefully. 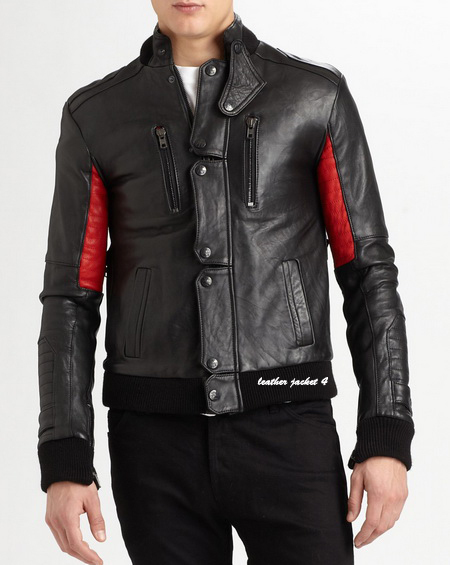 LeatherJacket4 a renowned online store of a leather jacket in the US is as always come up with the closest first copy of Kid Cudi Fire leather jacket with its utmost prime quality of real leather at best possible price that you may find online. Our professional tailors have created this true replica of Kid Cudi jacket as it looks like on the Cannon O’Brien. This jacket has given soft inner lining to make it pretty cozy for winter environment so you can feel warmly comfort anywhere you walk while wearing this stunning leather jacket. So grab your favorite replica of Conan O’Brian jacket which is a masterwork of our skilled seamstresses to boost your prominence look. 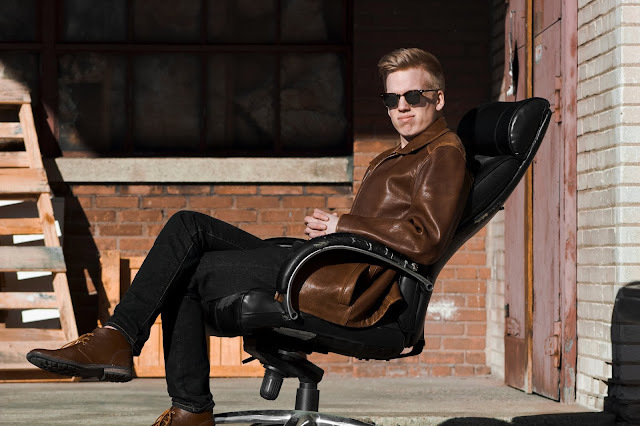 LeatherJacket4 offers completely Free Worldwide shipping on all buying so you may cut-off a bit of your cost to get it in comfort of your home, moreover there is a 10% discount promotional code which you can use at the check-out stage.